As an emphasis on strong social and emotional learning (SEL) instruction grows in PreK-12 schools, educators are exploring how they can best tailor that instruction to specific student populations. English Learners (ELs) are by no means a monogamous group: according to data collected by the U.S. Department of Education, English Learners in public schools speak over 400 different languages. They face a unique set of challenges — they are more likely to be classified as having a specific learning disability, speech, or language impairment, and homeless, Title I, and migrant students are more likely to be ELs than the overall population (1). Some English Learners have undergone trauma as a result of migratory experiences, and many face challenges related to cultural differences from peers. Supporting the unique PreK-12 experiences of English Learners requires a fresh look at any approach to social and emotional learning. The contributors review the existing research that demonstrates the connections between SEL and academic achievement, including its role in closing achievement gaps. In this section, the experts review cultural and linguistic diversity of the EL population, the emerging need for increased professional learning opportunities to enable teachers to meet the learning needs of such a diverse population, and the importance of a positive classroom environment. Culturally-responsive teaching is key to supporting English Learners. 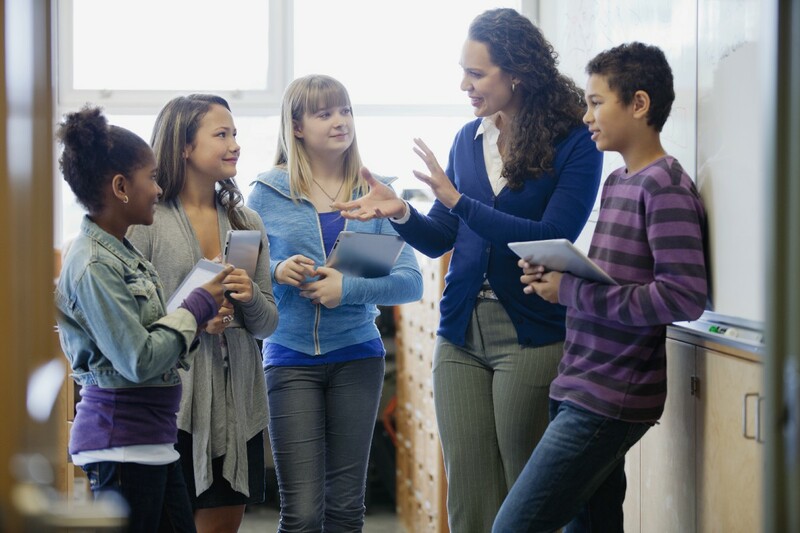 In this portion of the resource, you’ll find a discussion of the influence culture has on the classroom, and how specific principles of social and emotional instruction can support teachers in fostering a classroom environment that empowers students from varying cultural backgrounds. For ELs who have experienced trauma, research-based SEL practices are key. ELL Coordinator Laura Lukens describes her work with trauma-sensitive teaching practices, and the growth she has seen among her students. Lastly, the experts review the role of family engagement in supporting English Learners socially and emotionally. Establishing a productive, positive relationship between school, family, and community is important for any student to thrive, but can bring special challenges and opportunities when it comes to the families of ELs. (1) “Our Nation’s English Learners.” U.S. Department of Education, United States of America Department of Education, 29 Jan. 2018, www2.ed.gov/datastory/el-characteristics/index.html.